Facebook is dead for small business. That’s a bold headline I read sometimes ago. I went on to read the complete news and the conclusion of it is that Facebook has decreased organic page reach drastically, and now you have to pay almost every time whenever you want to spread a word about your latest project. So businesses with less budget should not use Facebook. 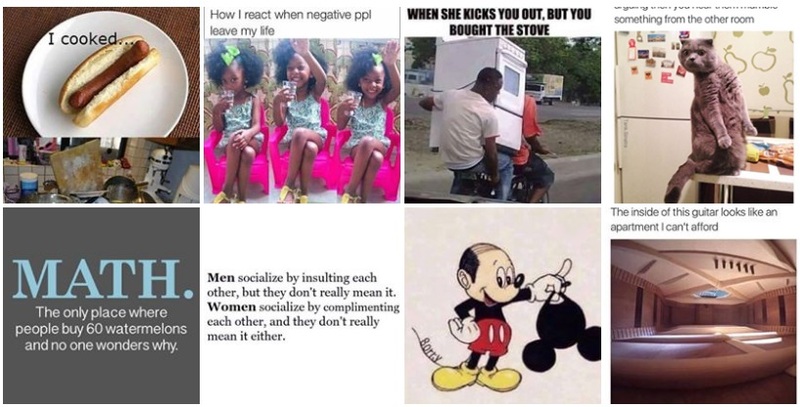 So is it true? well, kind of and kind of not. while the reach has been deducted and now you have to struggle for highlighting every single post, there are still many tricks which can help you to increase your organic post reach for maximum exposure. How to increase Organic page reach on Facebook? Publishing good content is important but publishing content which stays relevant for long is more important. Studies show that about 30% of the total post reach comes after the content has been published for a few hours. So If you post something that won’t be relevant after a few hours then you are losing post engagement thus the reach as well. For example, if you post about a good move from a footballer during a football match, then only the people who are watching it that time will get it. But if someone sees it after a few hours then it will be very hard for them to understand. On the other hand, if you post something that stays green for long, such as a common joke, then it will be easily understood even if somebody sees it 10-12 hours later. Also, keep in mind that your content should be engaging. Don’t fill your posts with long unnecessary details, keep them short and simple to create maximum post engagement (likes and comments), and the better your post engagement is, the better your reach will be in the long run. If you are thinking that posting more will help you reach more people, then you are wrong. 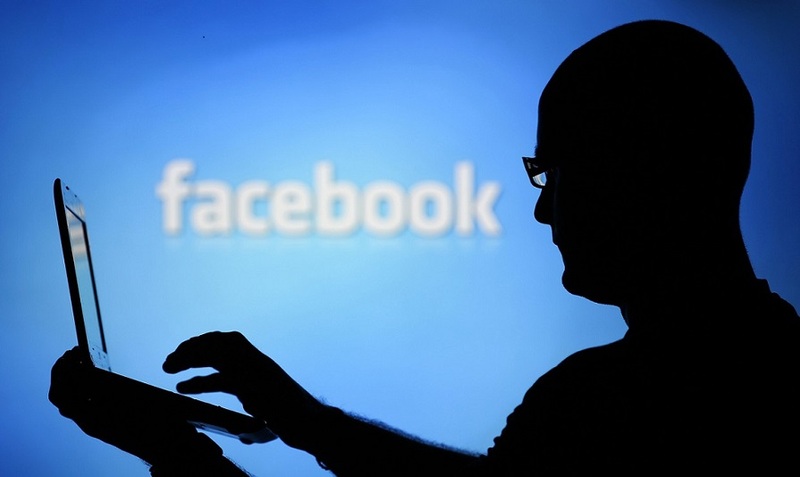 Facebook’s algorithm limits the number of people who will see your post every hour, so more posts will mean less reach. 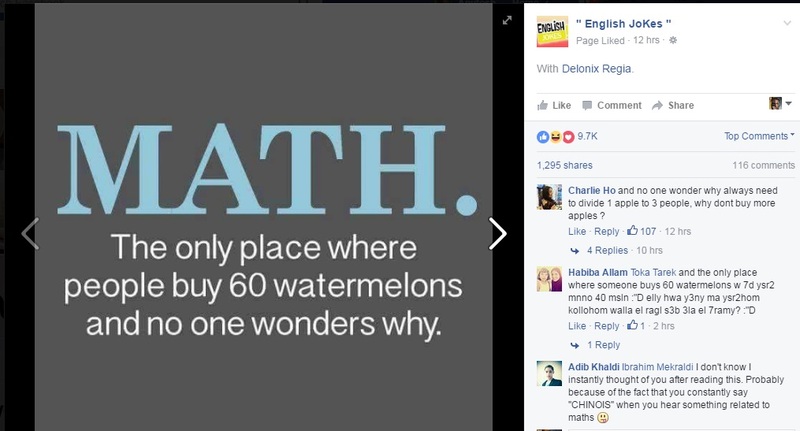 For example, Let’s assume your page has 100k likes and your hourly reach is 4k. Now if you post 5 post in one hour then each one of your posts will reach will be only around 800 per post. And if for some reason any of your posts doesn’t get enough likes on it in first few minutes (also referred as starting boost), then it’s possible that Facebook will stop the post just there. Meaning that post will only reach 100-200 people and that’s it. On the other hand, if you post only 1 post then it’s very much possible that it will reach the maximum post reach of 4k, and even more. The more gap you’ll give between your post, the better your reach will be. Our tests show that the ideal time of gap between two posts to reach maximum people is 5 hours. Post targeting is a relatively new and little-known feature among page admins. 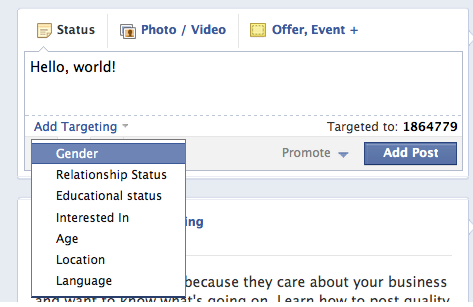 You can actually choose which people you want to reach with your post from the people who have liked your page. This is a great feature for admins which have larger pages with multiple types of audience. 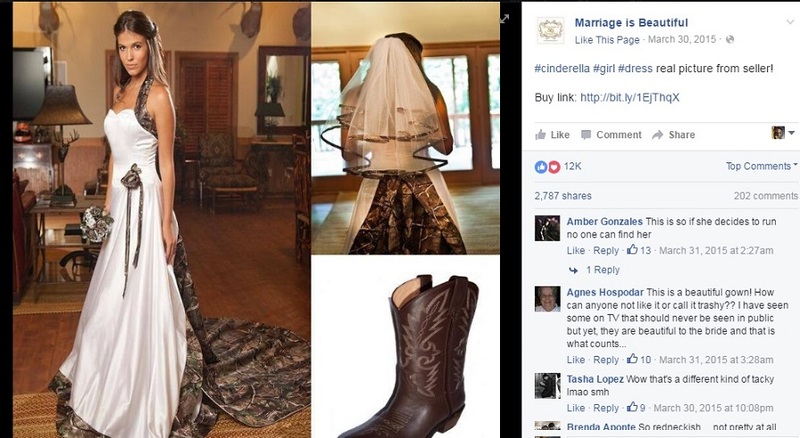 For example, if your company makes both male and female shoes then you can limit the post about female shoes to reach only female audience ensuring maximum post engagement and reach. You can choose to target your posts according to gender, relationship status, education level, age, location, language, interests and post end date. There are two best times to post on your Facebook page – One when everybody is posting and other when nobody is. No, I am joking! There are times when Facebook users are more active than others and if you post something at that time, then your post reach is automatically increased. This is different from page to page because pages have fans from many different countries and they all are active on a different time, to find the time when most of your users are online, schedule your posts in every one hour for 4-5 days and see which time gives you the best results. On the other hand, you can steal some reach from your competitors by posting on times when they are not active. Go to their page and note when they are less active, then schedule your posts for that time. 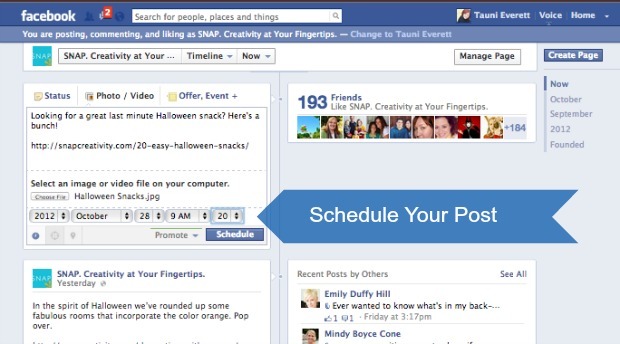 You can also do the same by scheduling your own posts and seeing when you generate the least post engagement. Once you have the data, pick a good image and post it during that time. Make sure you don’t post anything else before or after that post for about 2-3 hours. Do this for a while and you’ll be ruling that time slot. If you are looking to increase organic Facebook post reach instantly, then we got a cheat code for you. Since Facebook introduced Hashtags, people have been using it for all sort of things. But did you knew that you can use them to increase your page reach with them as well? We still don’t know how this works, but adding 2-3 relevant Hashtags in your post dramatically increase your organic post reach. But wait! don’t start using tags blindly, there are two things you need to know here. First, you should only use 2 or maximum 3 tags in a single post because posts stuffed with Hashtags are considered spam. You can search in Google to find the most relevant Hashtags to your content. Also don’t use Hashtags in all your posts, this may sound crazy but use tags in limited posts and it will boost your reach by 30-50%. Every once in a while, you should post something which encourages users to comment on your post. For example, post any fun questions or ask for an opinion on a viral topic. This gives a signal to the Facebook algorithm that those people are more interested in your page then any other page, so your posts will be more visible on their and other’s timeline for a good amount of time. However don’t do it too much, if you post too many posts encouraging comments, then the number of comments will decrease slowly and so will your reach. 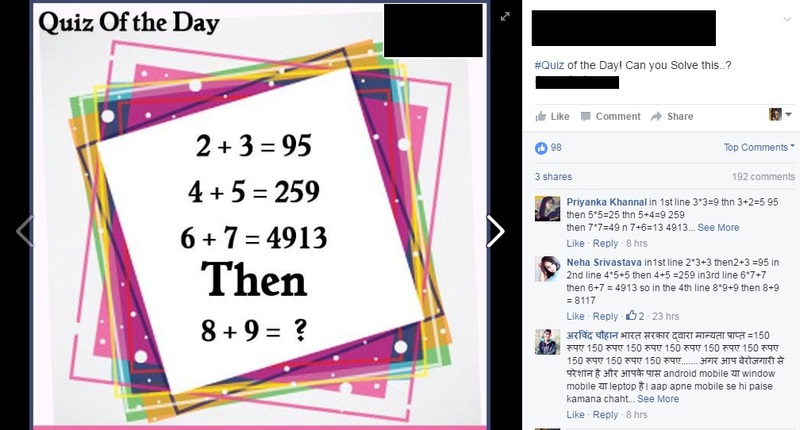 One year ago, If you would have asked me which type of posts work better on Facebook, then I would have definitely answered that post with images works the best. However, things have changed now. 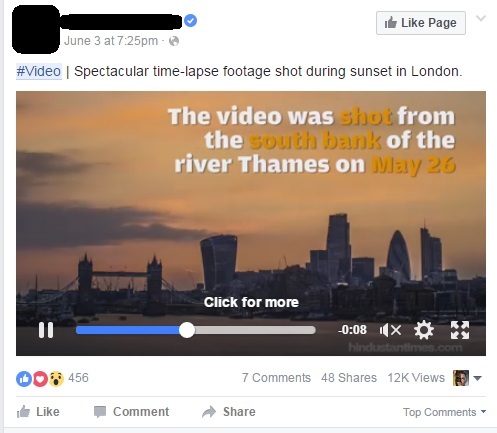 Facebook is seeing the future of social media in videos. So they are encouraging it. You might have noticed that in the past few months you have started seeing more and more videos in your news feeds than any other type of media files. Also, link previews have proved to work better than normal text posts. So if you also own a Facebook page then you should start mixing videos and other post types with your normal posts. They may or may not work for you depending on your page audience but for many people, post with their special media type have the highest organic reach so you too should give it a shot. And finally, there is no tip or trick to increase Facebook page reach which is universal. Each page has a different audience and Facebook makes thousands of big and small changes to their algorithm each year. So you can not be sure that something which is working for one page will work for others, or a trick which was working yesterday will be working tomorrow. If you want to succeed in Facebook advertising, then you have to keep experimenting and finding your own tricks to increase Facebook page reach. If you have a bigger page and you can not afford to experiment with it, then I’ll suggest you create a small page in the same niche and experiment there. But there is no replacement for experiments.